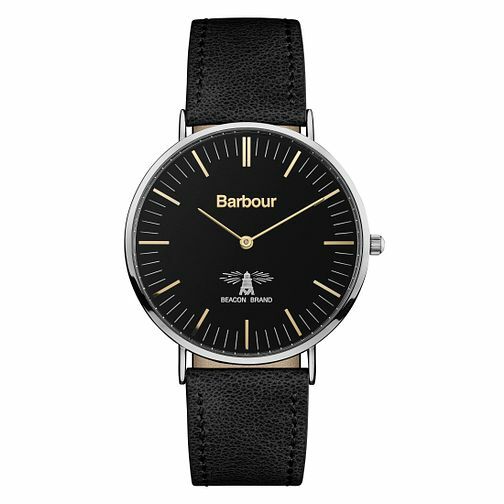 Barbour's quintessentially British aesthetic leads to this modern timepiece, with a stainless steel case and gold-coloured hands and hour markers. A black leather strap nicely compliments the earthy colour tone of the dial, making it a great evening occasion piece. The watch is also marked with its signature Beacon brand logo, letting you easily match this piece to other pieces in the Beacon collection.